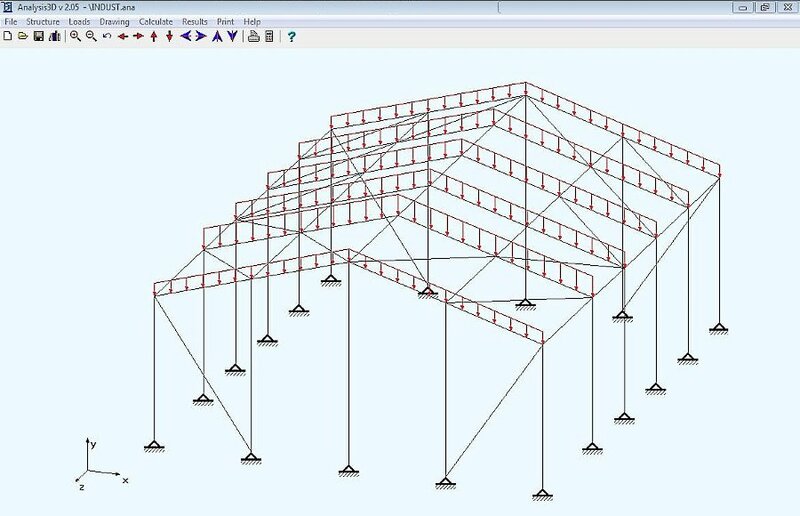 Analysis3D calculates two- and three-dimensional Trusses and Frames. These structures consist of long slender Members that are supposed to behave linear elastic. Before entering a construction, be sure to determine whether the structure is a Frame or a Truss and whether the structure has 2 or 3 dimensions. You can also choose the Units. Small and easy to use, with a user friendly Windows interface to make your life easy. Large library of commonly used sections included (AISC, British Steel, DIN, Euronorm). 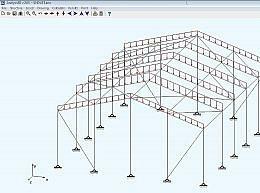 Structural Steel Design includes: Plastic Design, Elastic Design and Eurocode 3. First enter the Joint coordinates. Members can only be entered when the Joints are given. Joints, Members and all other structure data can be entered with the Menu Structure or interactively, by means of the mouse. A number of drawing buttons simplify the drawing control. When the construction is fully described, you can calculate the structure and view the results. Reduced plastic shear resistance for the case of combined Torsion and Shear. The Joint Displacements are shown automatically. Members that fail the requirements for Member Stress or Buckling are indicated in red. The course of Axial Forces, Shear Forces, Torsion, Bending Moments and Deflection can be viewed with the Result Menu option NTM-Forces. All compressed members are tested for Buckling. * Analysis3D download link provides freeware version of the software. I've checked the results & verification checks on a number of different frame types against RISA 2D & 3D software and they are almost identical. Analysis3D has been rated 3.7 out of 5 points. A total of 7 votes cast and 1 users reviewed the software.